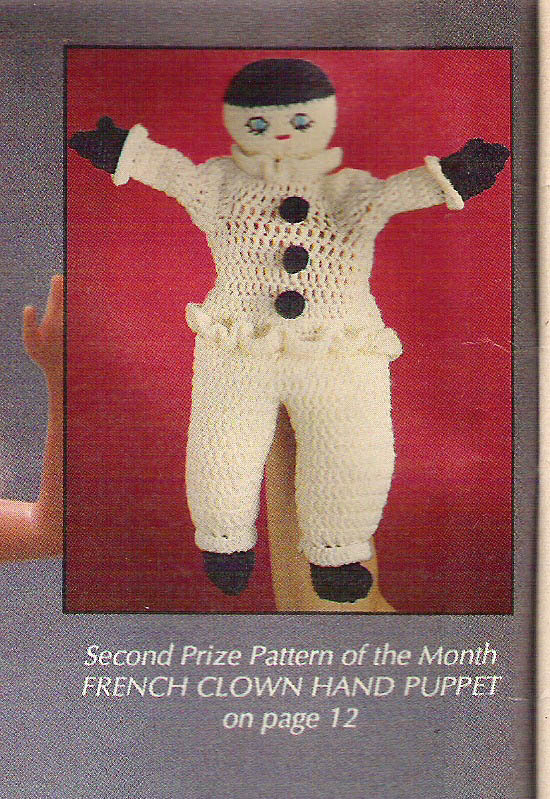 Back in February 1990, I won second prize “Pattern of the Month” in Crochet World Magazine for my French Clown Hand Puppet pattern. 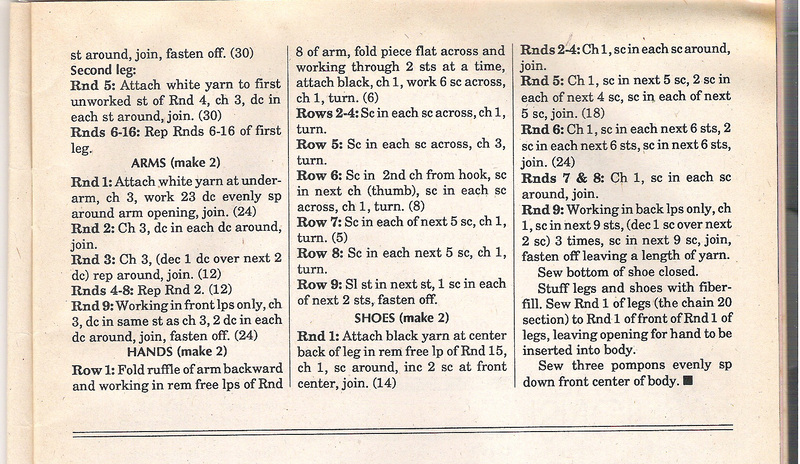 For those of you who are interested, I’ve decided to post the pattern here! 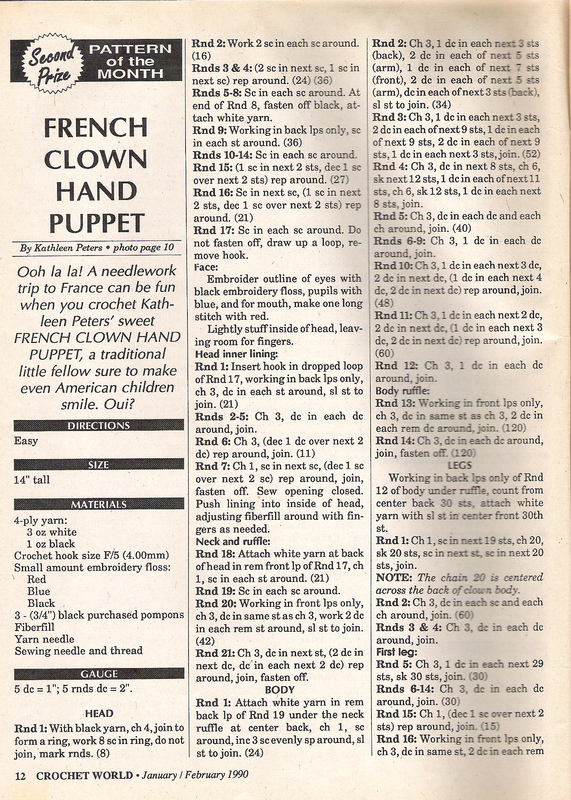 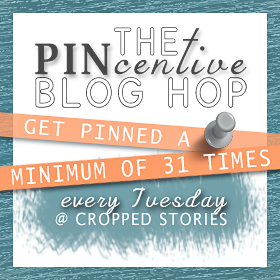 Please forgive the scanned images, that was a lot of directions to type!